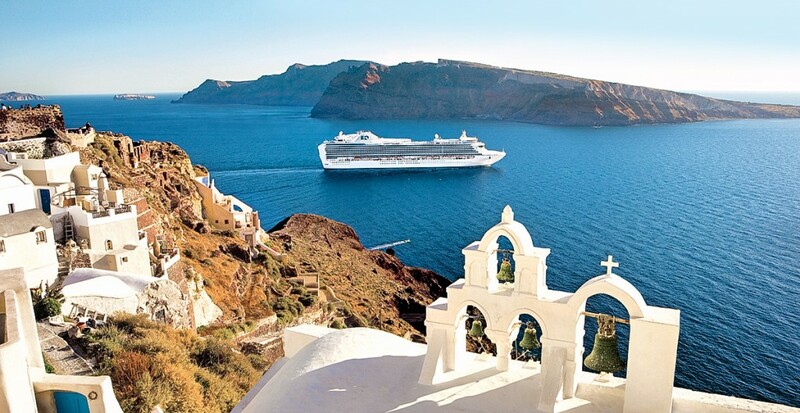 Every sailing with Princess Cruises® is indeed a departure from the ordinary, with exotic ports around the world and limitless ways to indulge at sea. Now, you can enhance your cruise experience to even greater heights with these four special culinary upgrades that will make you feel like a true VIP. 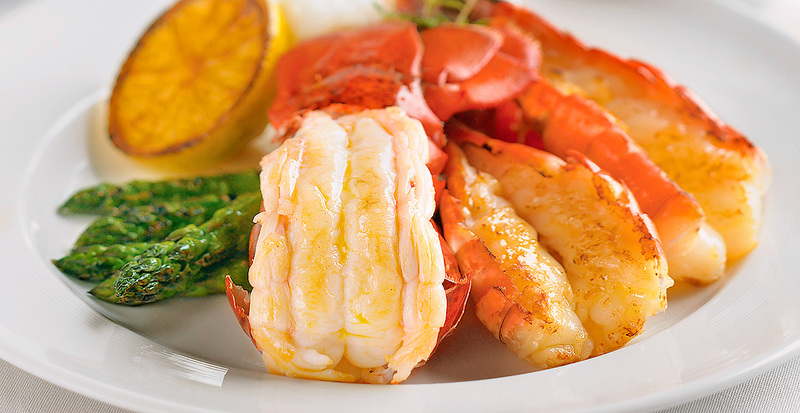 Fulfilling flavors at sea is only the beginning of your culinary cruise. You’ll discover plenty of regional tastes as you explore new shores with family and friends by your side. Crack claws together at a convivial lobster bake in Bar Harbor, Maine, and sample authentic cannoli in Boston’s historic Little Italy on a coastal cruise along the Eastern Seaboard. 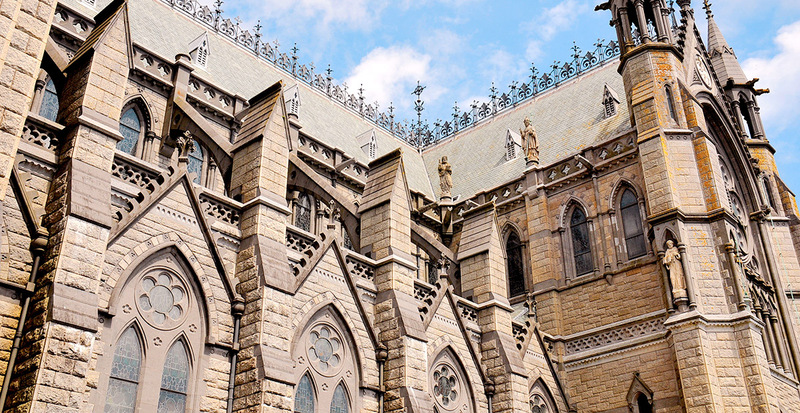 After exploring a 19th-century cathedral in Cork, Ireland, share your impressions over a satisfying taste of true Irish whiskey at the Midleton Distillery. Devoted food-lovers will delight in learning new techniques together over a hands-on cooking course in Normandy’s elegant Château du Bec. 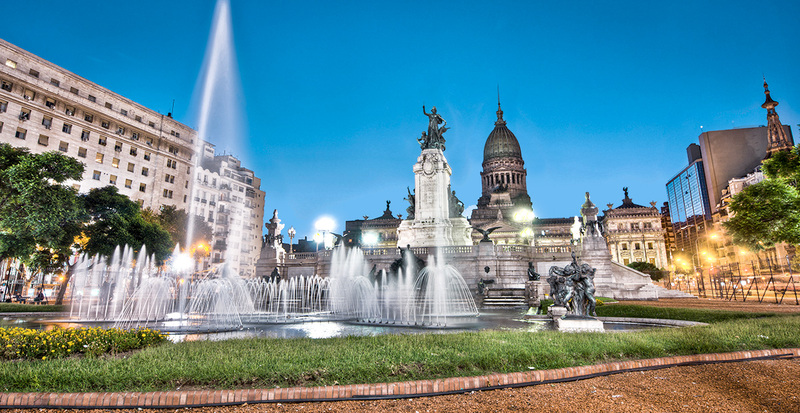 Savor meats that have been grilled to perfection along with a splash of Argentine malbec when you dine in a local’s home in Buenos Aires, and immerse yourself in gaucho (cowboy) life over an open-air barbecue on a Uruguayan estancia when you cruise through South America. There’s no better way to honor life’s most precious moments than over a memorable meal — be it a milestone anniversary, a meaningful birthday or simply a celebration with your family and friends. 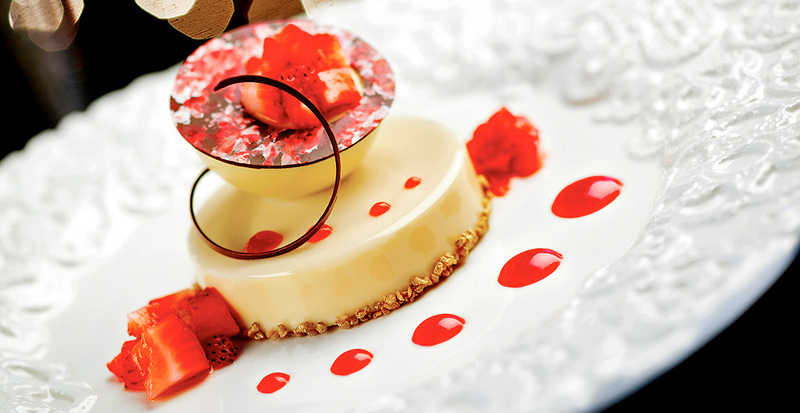 The exclusive Chef’s Table experience is designed for discerning gourmets. 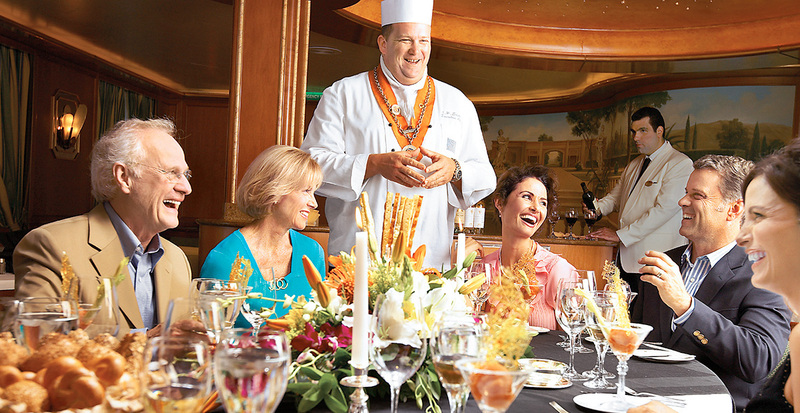 First, visit the kitchen galley for a meet-and-greet with the executive chef. 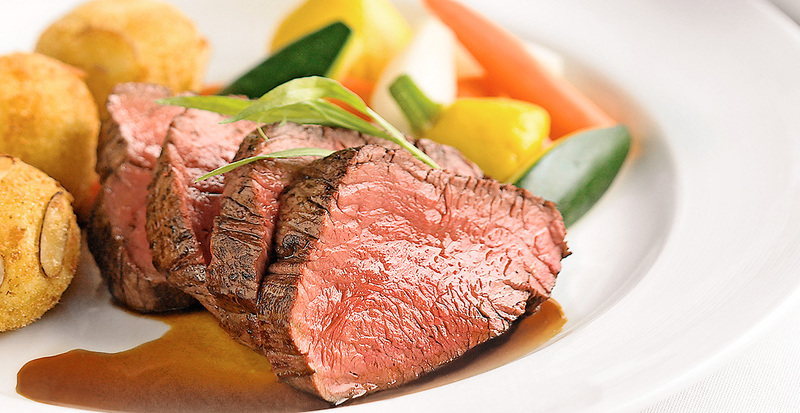 Your evening culminates with a private wine-paired dinner featuring ingredients plucked from a local market that day. 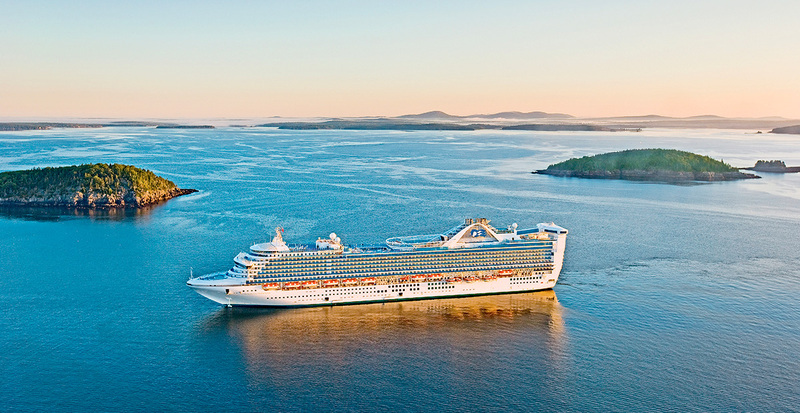 Chat with the chef over dessert and then leaf through your personal copy of Princess Cruises’ best-selling cookbook, Courses, A Culinary Journey. 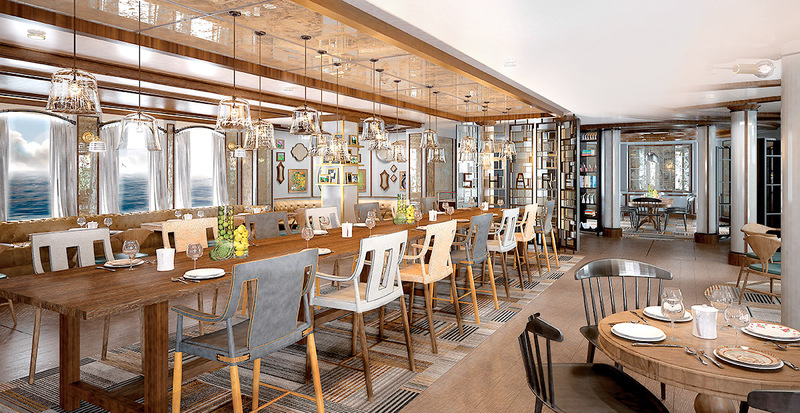 The concept of cruise ship dining has been completely transformed with the launch of SHARE, the innovative restaurant from celebrity chef Curtis Stone. Communal tables and family-style dining deepen existing connections and create new bonds, all enjoyed over dishes that reflect Chef Stone’s philosophy of simple, seasonal cuisine. The sun sinking into the sea sets the stage for an unforgettable meal on your own private balcony. Illuminated by candlelight against the gentle whisper of the sea breeze, personal waitstaff quietly deliver canapés and a multi-course meal — highlighted by selections like buttery filet mignon and succulent lobster tail perfectly paired with wine. 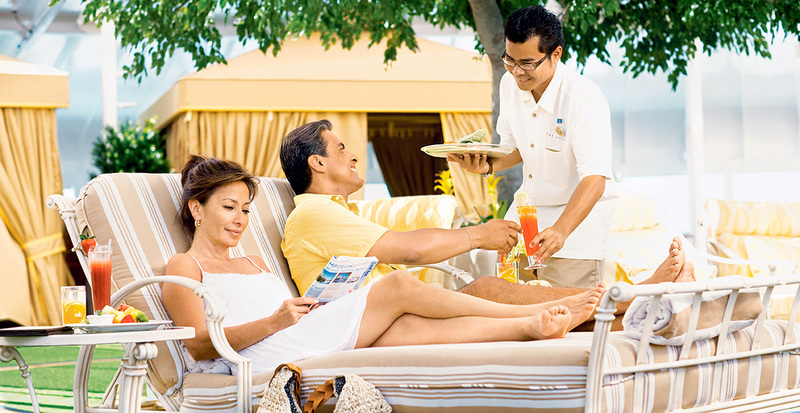 The hallmark of a Princess Cruises®’ voyage is that every choice belongs to you. 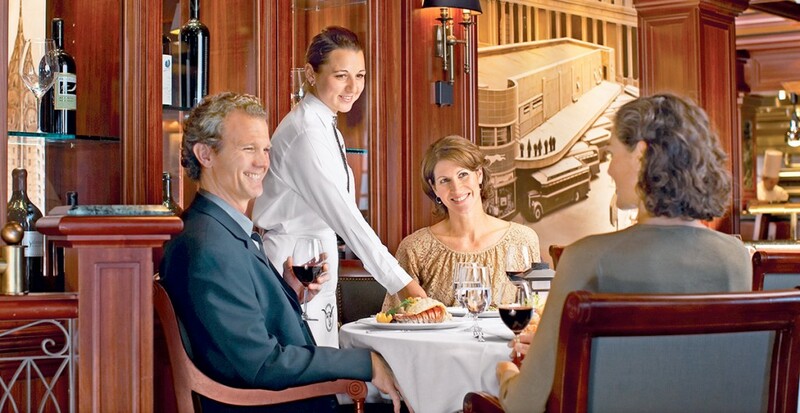 Within the main dining room you can choose the classic experience of sitting among pre-selected companions at set times. Or, Anytime Dining gives you the freedom to dine when you want, and with whom, from tables for two to celebratory group meals. 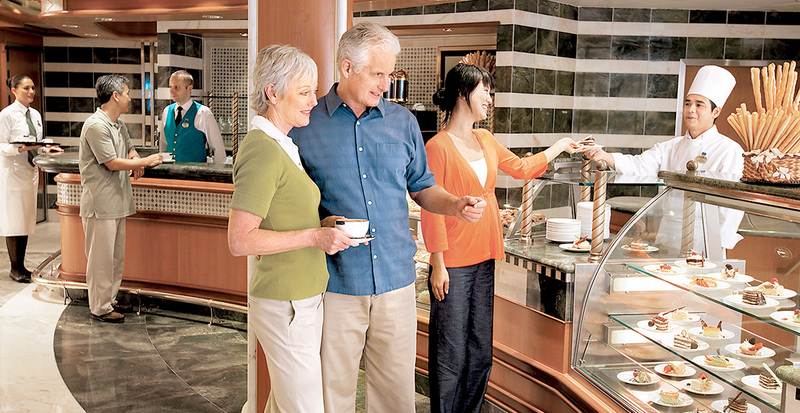 Soul-satisfying, chocolate-inspired treats appear in the most unexpected places when you sail with Princess Cruises®. 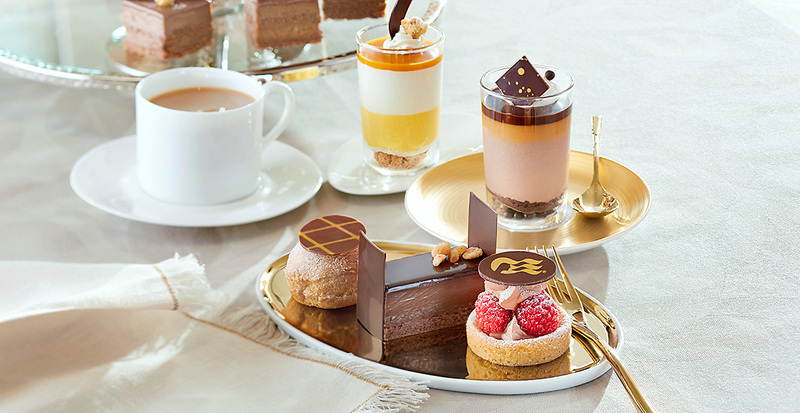 The Chocolate Journeys program offers plenty of ways to savor confections designed by esteemed chocolatier Norman Love. Fulfill an anytime craving with milk chocolate chantilly éclairs from the 24-hour International Café or order a chocolate chili margarita as a sweet aperitif — or perhaps you’d prefer premium chocolate pairings at Vines wine bar. Call us today and let us reveal the delicious cruise experiences that are sure to satiate your taste for the finer things in life.